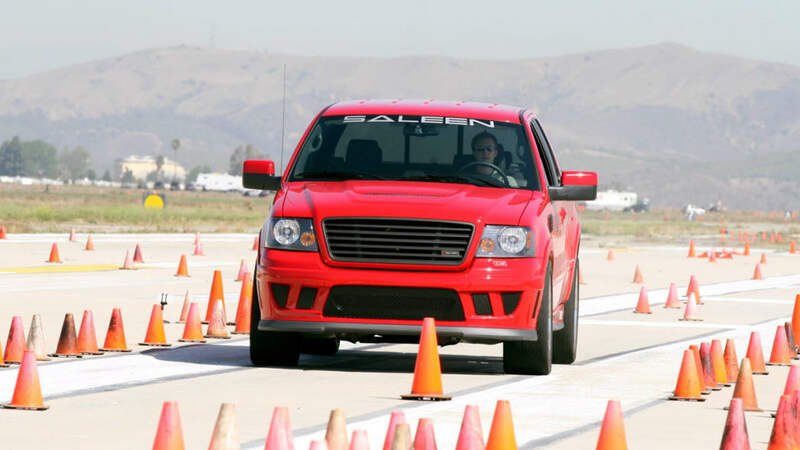 Day 1 of our first encounter with the Saleen S331 Sport Truck had us exploring the versatility of the truck. We started off by using the vehicle as a swanky ride through the heart of ultra-rich Orange County. A cruise down PCH gave us a chance to sample the ride and power, and to gauge public interest at the extremes of demographic segments. We got just as many thumbs up from the Lexus and Benz set as we did from the pickup and motorcycle crowd. 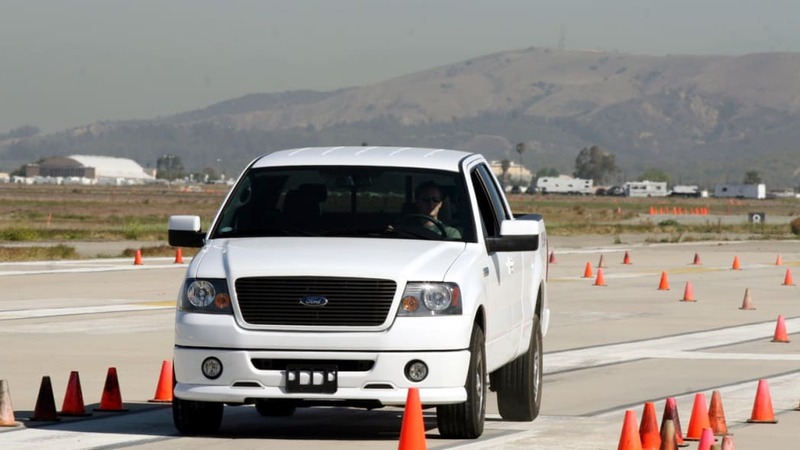 We even had a chance to see how well the truck performed as, well, a truck. 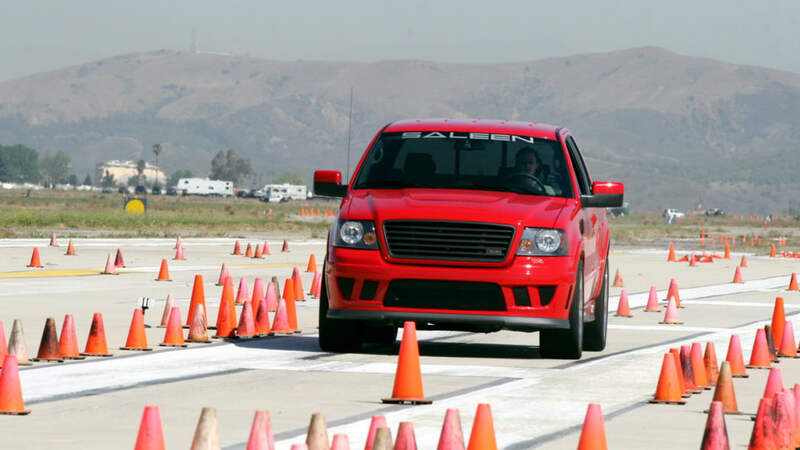 With payload that represented what Saleen sees as its target market's toys, we convoyed over to Newport Harbor with a selection of bikes and watercraft that culminated with a 30-ft powerboat. 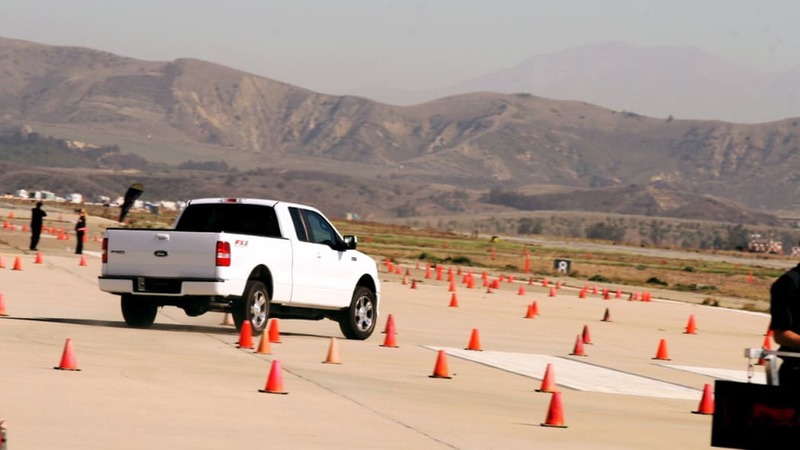 It's definitely a civilized and capable truck, but we wanted to better sample the "Sport" part. And that's what Day 2 was all about. 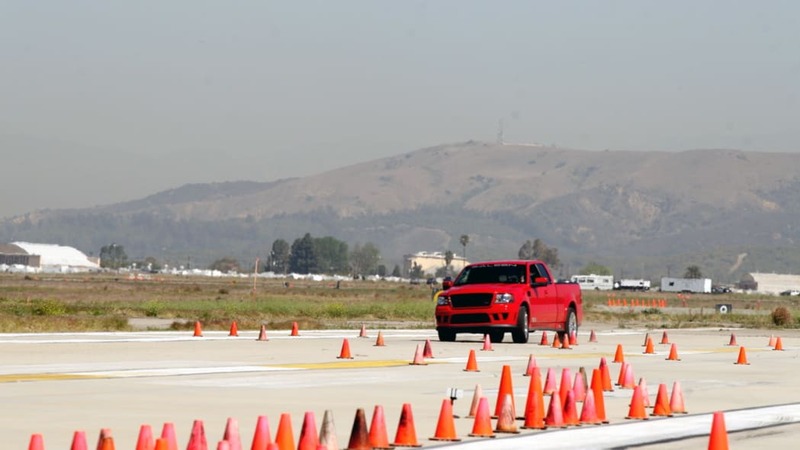 We met up at the shuttered El Toro Marine Base, which still has its two long airstrips reasonably intact and available for testing. 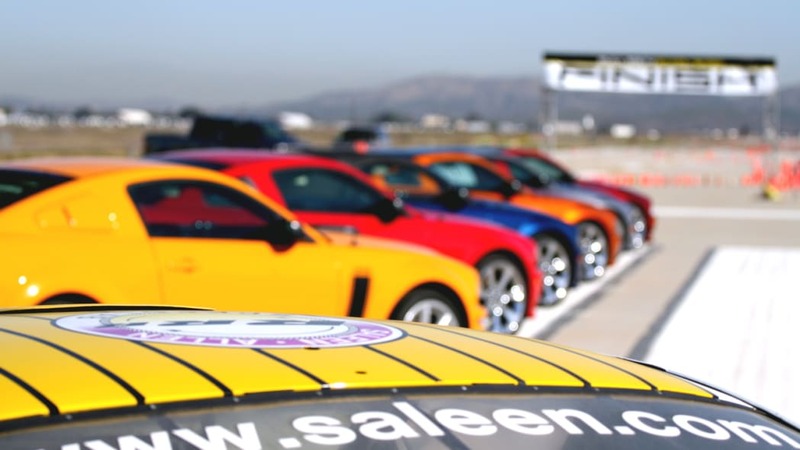 With just about every model from Saleen's current lineup on hand, we were given a pretty compelling reminder that Saleen and performance go hand-in-hand. 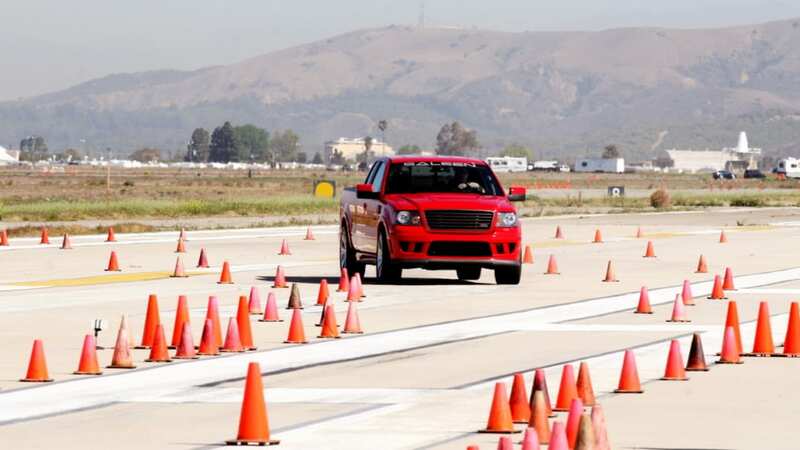 On one side we had the fleet of S331 Sport Trucks, on the other a row of Mustangs that ran from the Parnelli Jones, to the S281 SC, to the Extreme. 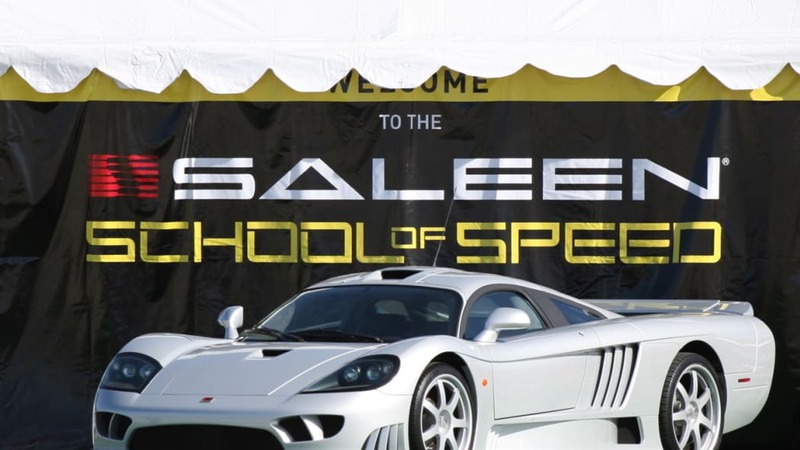 At the head of the class sat a silver S7 under the company's new "School of Speed" banner. 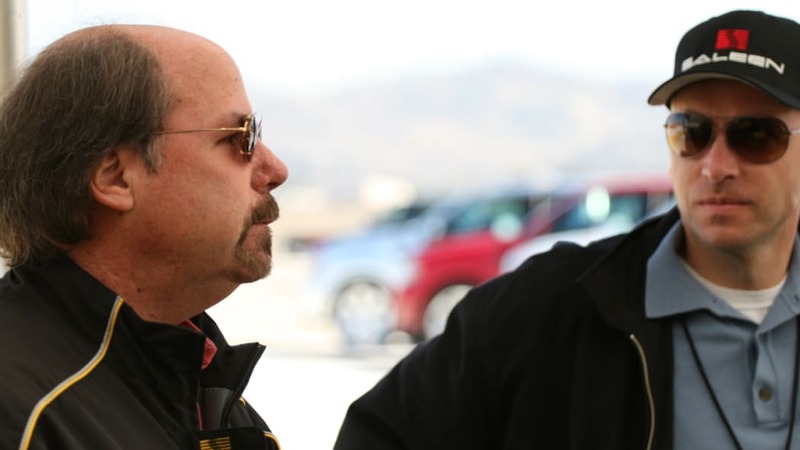 There is some talk that this will become a traveling show that will allow owners to better understand their vehicle's limits. 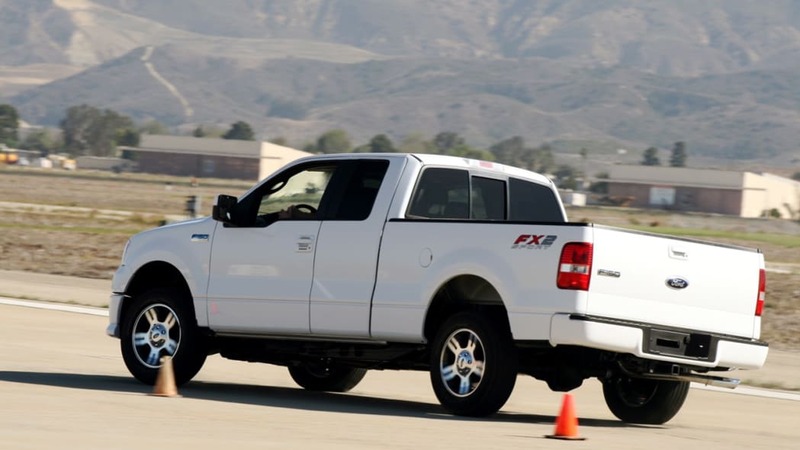 We also found out a few other things about the truck and the company over the next few hours, most importantly, how the S331 stacks up against Ford's current sportiest truck, the F-150 FX2 Sport that was on hand for comparison purposes. 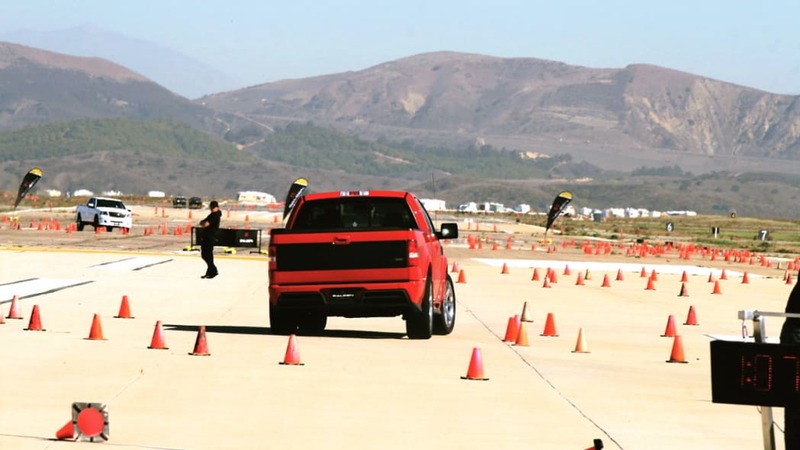 Follow the jump to find out how the truck (and the author) did in the autocross. 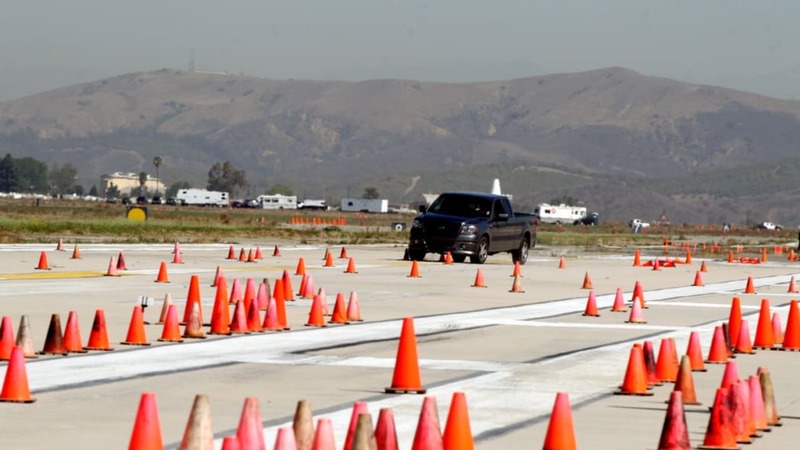 We were given a rotation number and took turns running a series of laps in both trucks. 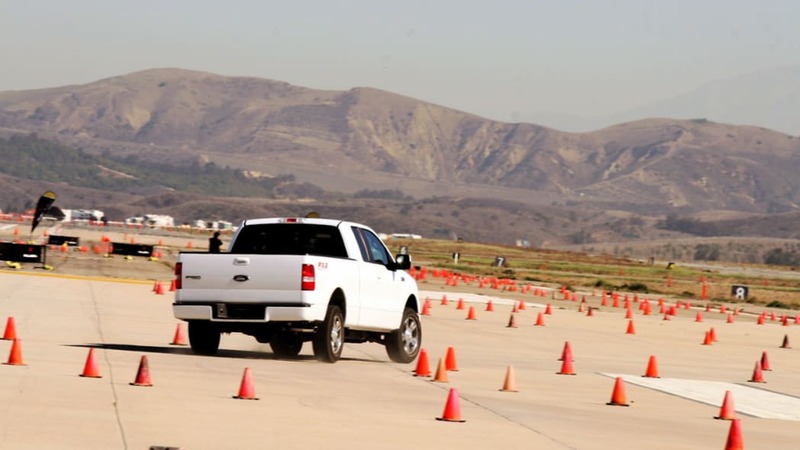 The first lap in the F-150 was a relatively slow lap to learn the course. 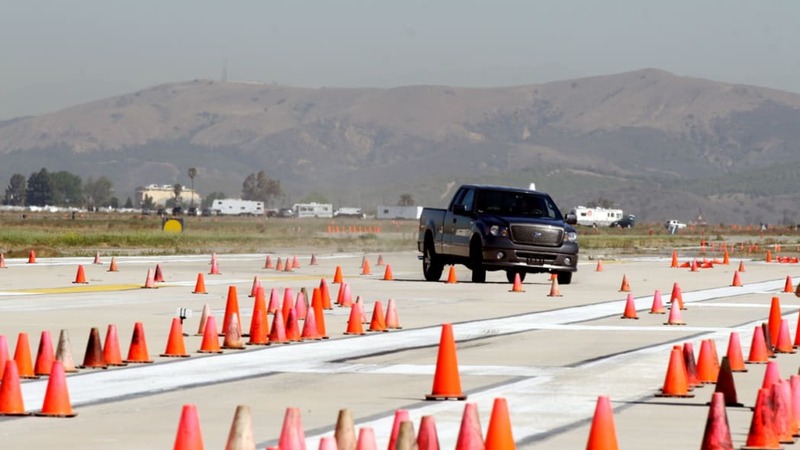 Everybody ran solo and most got cocky enough to learn the hard way that the chicanes and decreasing radius sweeper at the far end of the track are not easily navigated with a pickup. 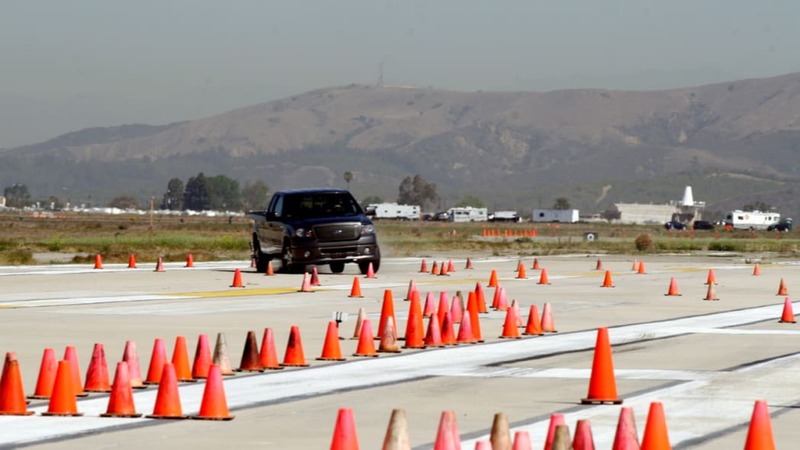 Narrow enough to require a lot of precision, many cones died to bring us this information. 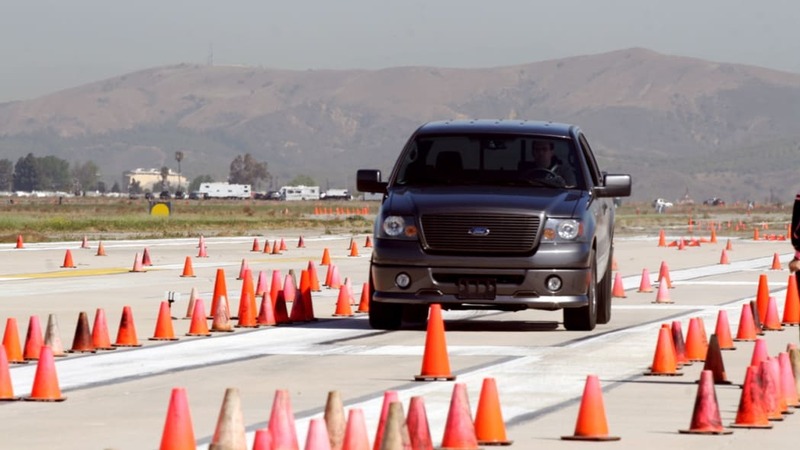 For those of us who hadn't spent a lot of time behind the wheel of a truck, it also gave us an eye-opening chance to discover how body roll effects momentum through corners. 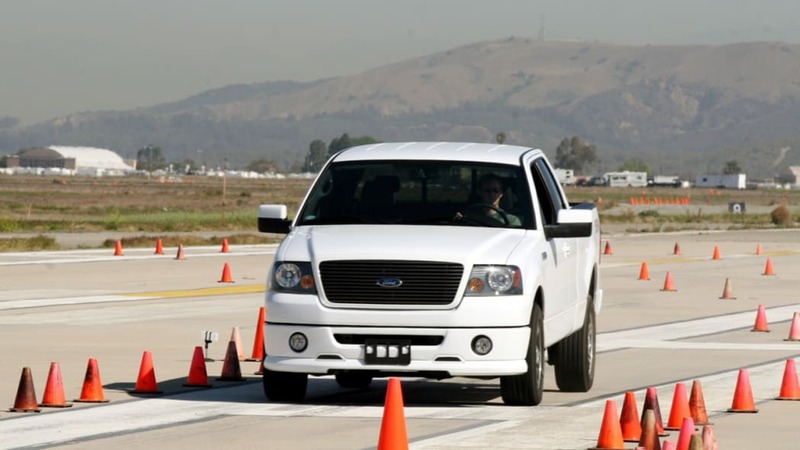 Weight transfer takes on new meaning when the vehicle weighs over 5,000 pounds and seems to have a two second delay in its reaction to driver inputs. 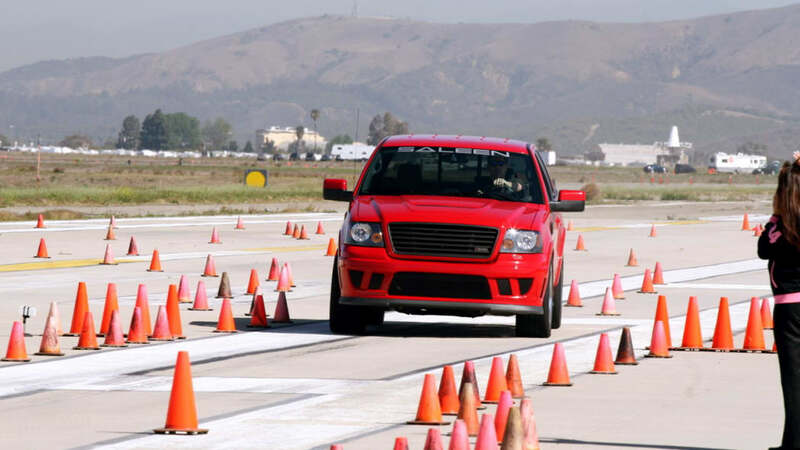 The second lap was a timed lap in the same F-150 that had most of the group recording times in the 1:09-1:11 range. 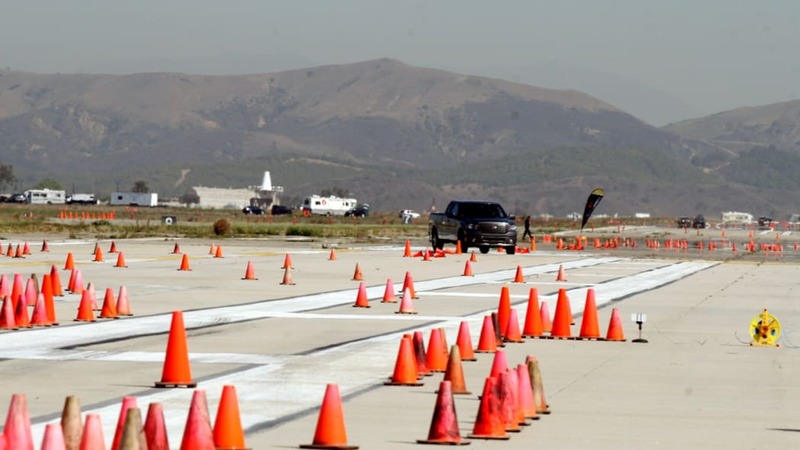 A fairly technical course, it only had two relatively short straights punctuated with a pair of wicked chicanes. 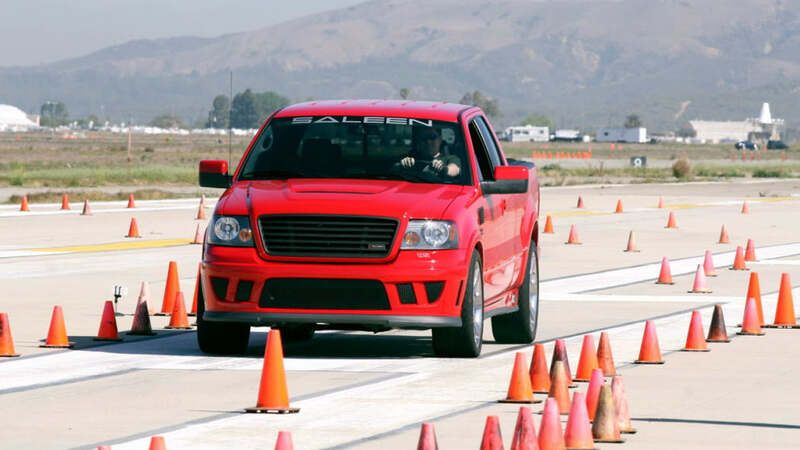 These kinks all but eliminated the supercharger's power advantage and helped us see how much better the Saleen Racecraft suspension helped with lap times. It would have been nice to have a non-supercharged S331 3-valve instead, but we suspect the results would have been very similar. 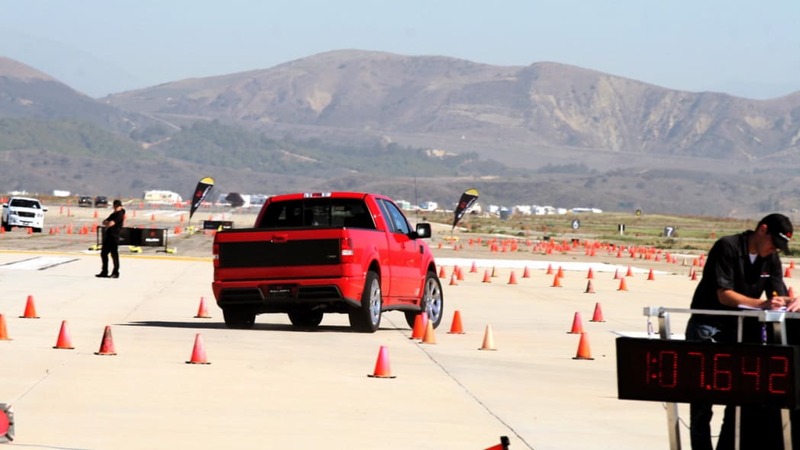 The track started with a series of sweeping turns that led onto the first short straight that was the only place where the extra oomph made a big difference. At the end of the straight we entered another S turn before hitting the far straightaway. 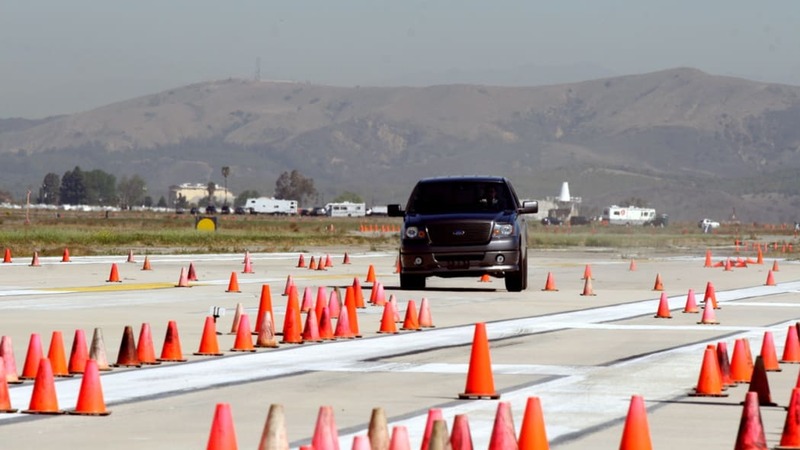 An aggressive chicane ended our acceleration and led into the long decreasing radius sweeper that had most of us plowing through the outer line of cones more than once. 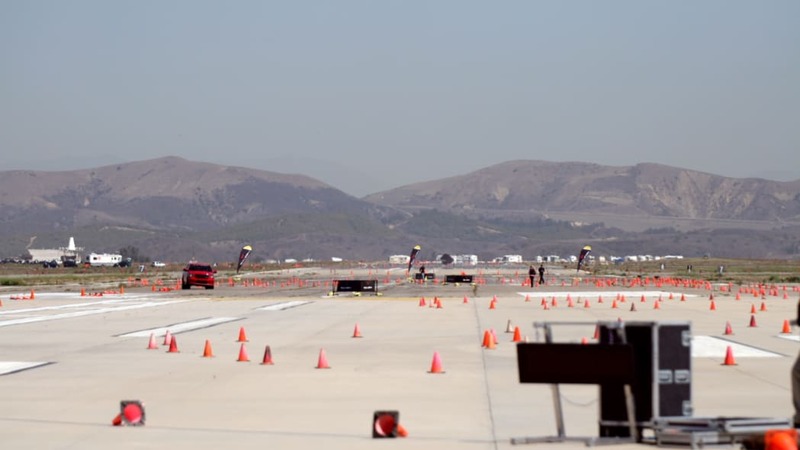 The return trip included another pair of S turns and then a wide gate slalom before some heavy braking into a final set of tight turns and a brief blast to the timing lights. More than a few of us were so focused on accelerating through the traps that we had a hard time stopping in the box at the finish. Some were better at it than others, with some coming just shy of the final cone and others alternately punting it or crumpling it. 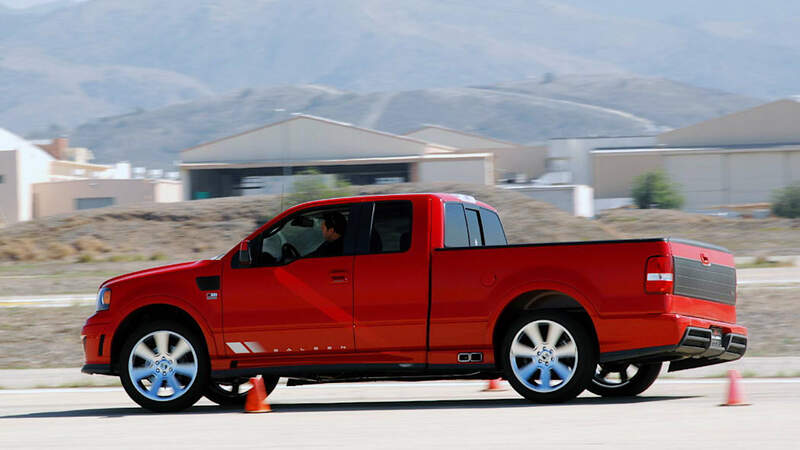 After running the course in the F-150 a couple of times, it's easy to expect similar dynamics from the equally hefty and high S331 SC. But the difference became evident at the very first turn. 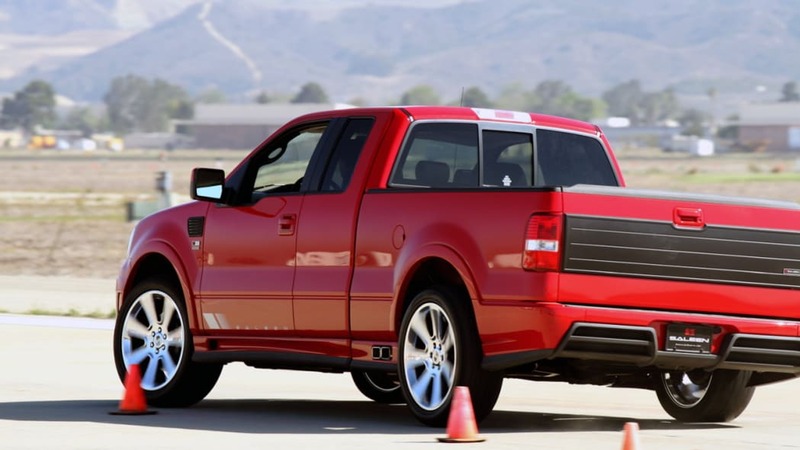 Where the F-150 felt like the bed was going to twist the vehicle onto its side, the S331 felt hewn from a single piece of 300-year-old oak. After stepping out of the Ford it was like getting into a car again. 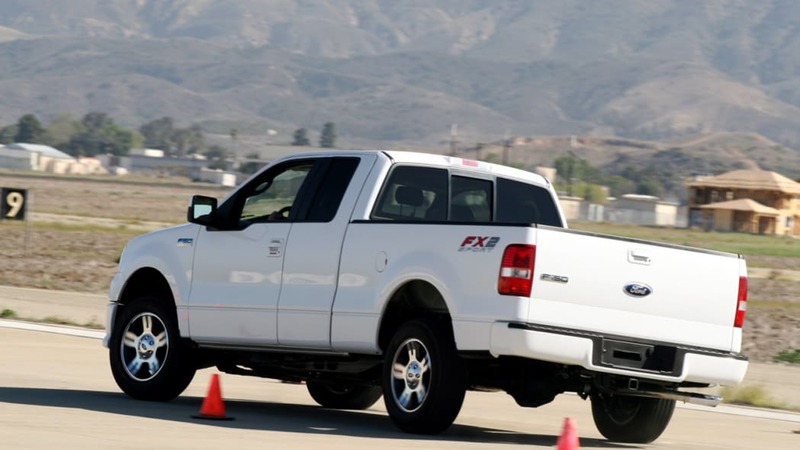 Very little body roll, helping the 40-mm-wider tires stay squarely planted, and the widened track with staggered offsets helping this beast hustle where the F-150 flowed. 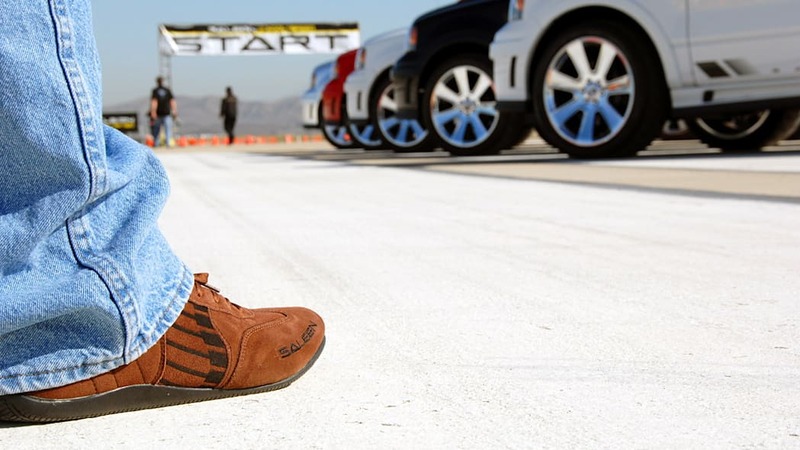 Although dwarfed inside those massive 23-inch wheels, the S7 brakes were phenomenal too. The first laps in the S331 had us completely rethinking our line with less of a pitch and punch approach and more of a point and shoot technique. 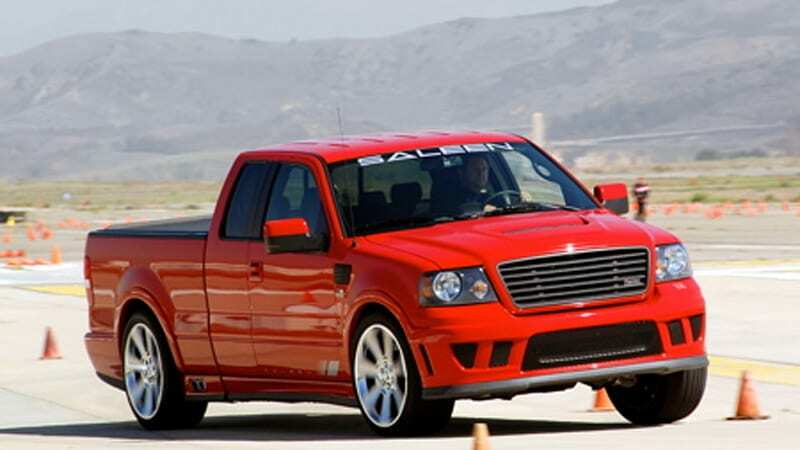 In the gallery you'll see the white and gray F-150s and the red S331. Notice the difference in dive and body roll between them. 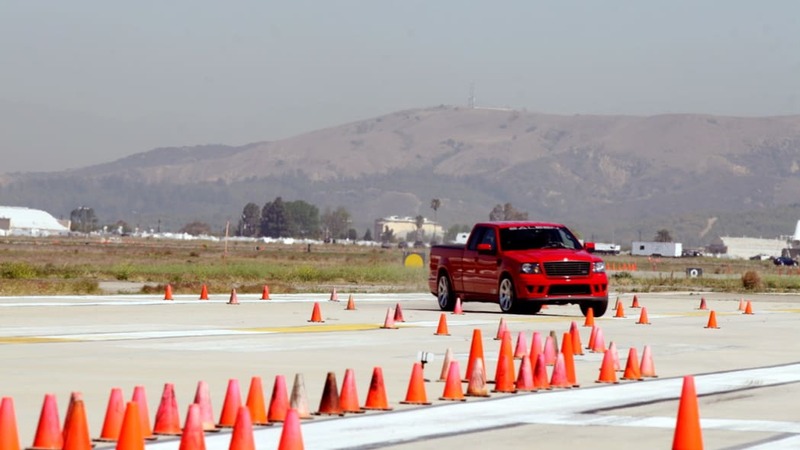 But even with such a different experience between the two trucks, the times tumbled by as much as 5 seconds a lap. That 1:03.9 was good enough for second place after the session. 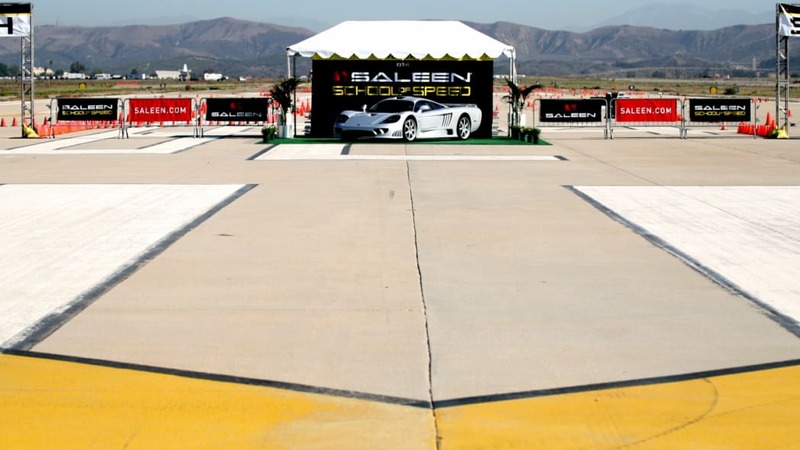 Steve Saleen went over the results and gave us a few pointers before sending us out for two back-to-back laps for the gold. A friendly competition between the journos meant pride was on the line so we did our best to represent the blogosphere against the "traditional" media. 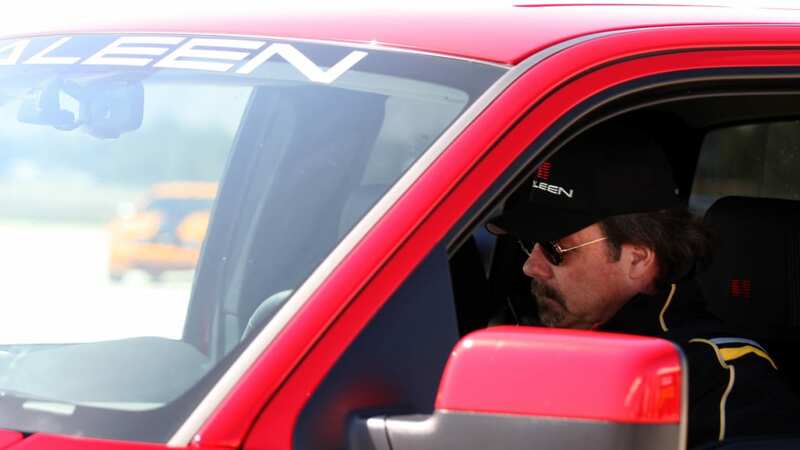 Some of the group members had a lot of seat time in a pickup. Some had significant track experience. Some had both. Unfortunately we weren't in either of those categories. Worse yet, there was a ringer in the group. A certain print weekly had sent an editor with some pretty impressive track experience. He had gone 1:02.8 in the first session, leading the pack by more than a second. In the second session he went out and promptly set the bar even higher, turning in a 1:01.6. Between laps Steve gave a few more pointers (brake harder BEFORE the turn, stay smooth through the bend and hammer the throttle as you leave the apex), and every single driver improved over their earlier times. 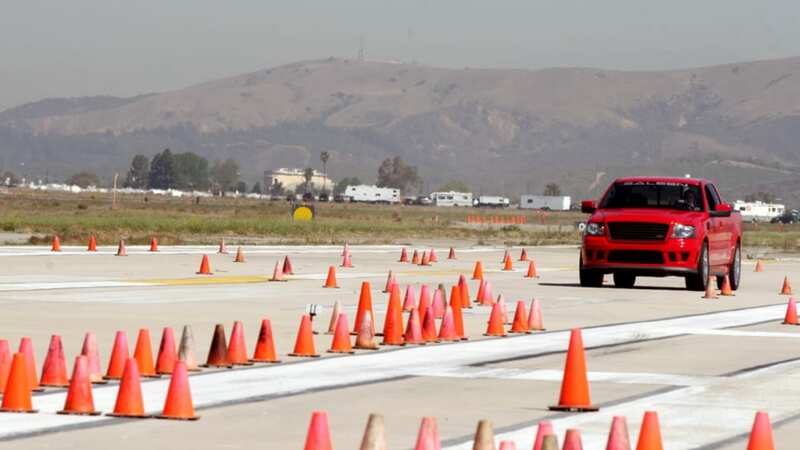 This automotive weekly writer used Steve's advice and his own growing familiarity with the vehicle and the track to post an eye-popping 1:00.3. Yikes. 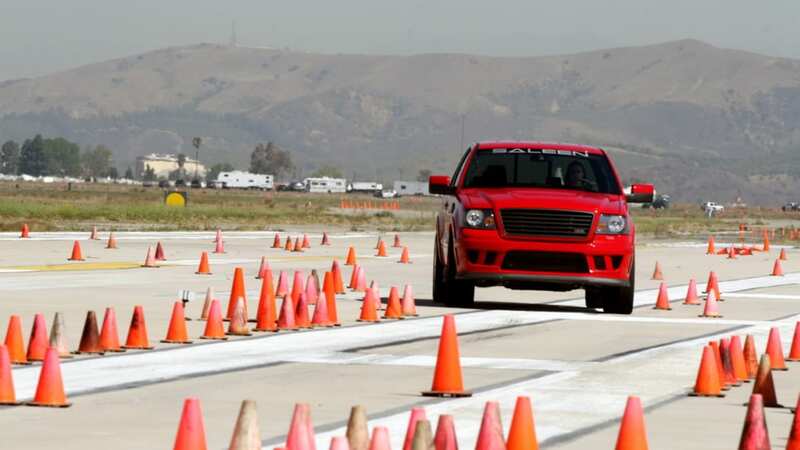 Other drivers had just nipped our 1:03.9 and reset second place around 1:03.7. After retaking second on the first lap in the second session, we listened to Steve as he pointed out that he was hearing the throttle too late after the apex. He suggested hammering it a bit sooner than we felt comfortable, while reminding us to stay smooth. That second bit went out the window when we got a bit overconfident. Feeling a great lap coming, we overcooked the sweeper and plowed a bit, scrubbing too much speed. We still finished with a 1:03.1, but it could have been so much better. 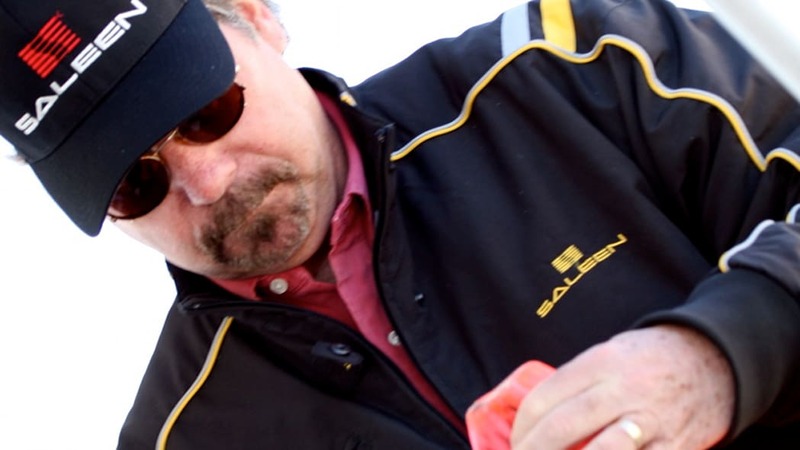 After the award ceremony, where the winner was acknowledged and a cone was given to the biggest basher, we all pressured Steve to show us how it should be done. With no warm-up, he went out and posted a 0:57.8. Everybody wanted to stay to try to beat it, but we still had another stop to make. 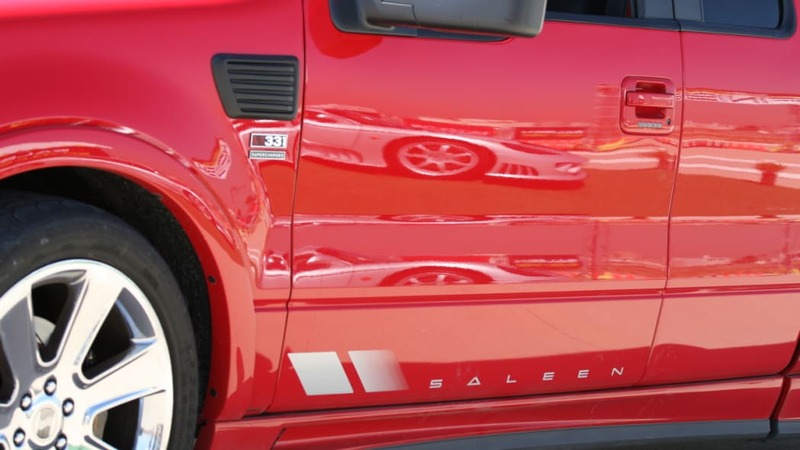 We headed over to the Saleen Store at the Irvine Spectrum where we saw some of their other vehicles and the merchandise they carry. We covered the opening of this store several months ago and it has popped up a couple of times since, most recently as the home-away-from-home for the Molly Pop pink S281 owned by store manager and Steve's daughter, Molly. Unfortunately Molly had the day off so we didn't get to see the car again. But we did get to try out the racing simulator where you can run an S7R on any of the top tracks in the world. And this is a simulator, not a video game. 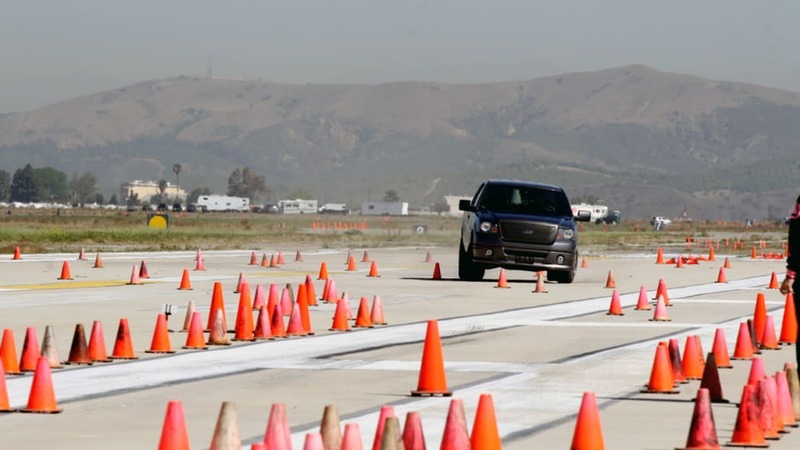 When you get off track, those sandtraps keep you stuck. 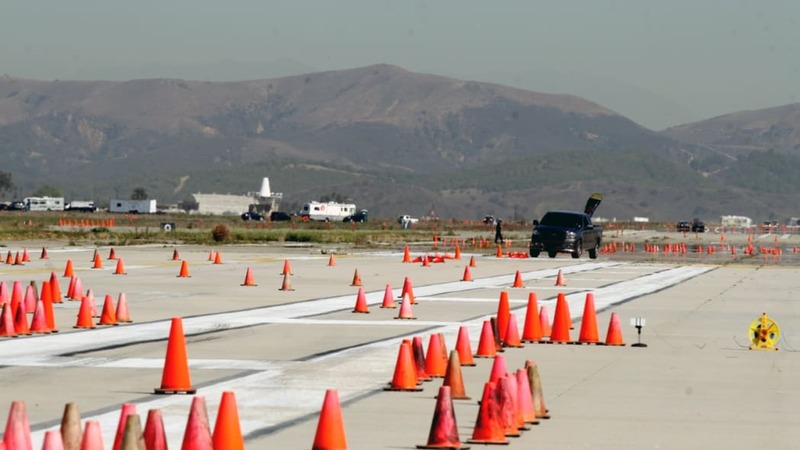 It was here that we learned that the winner of the morning autocross had actually run a real live Corvette around the very same track we were virtually running in the S7s. Second place felt a little better after hearing that. 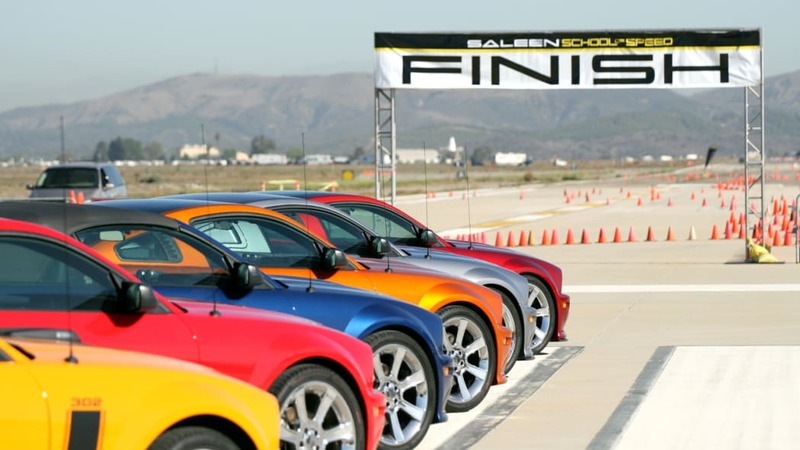 Thus ended our introduction to the Saleen S331 SC. We have been promised a longer drive in the near future, but for now, we like what we see. 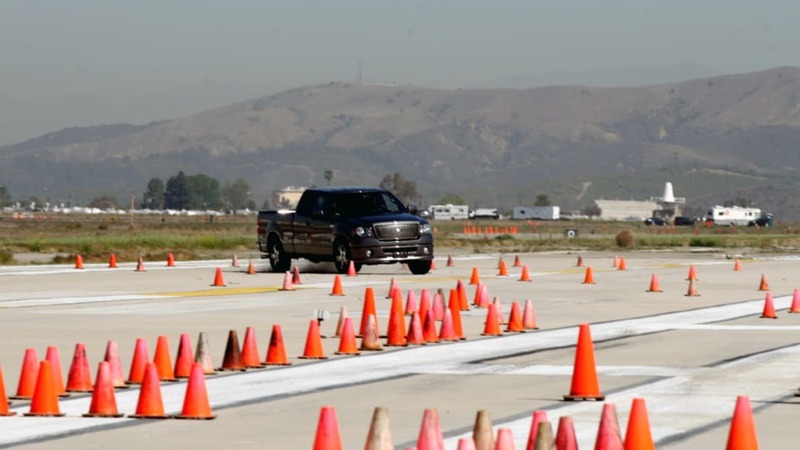 Any truck that can give this level of driving performance without sacrificing one iota of utility is a winner in our books. 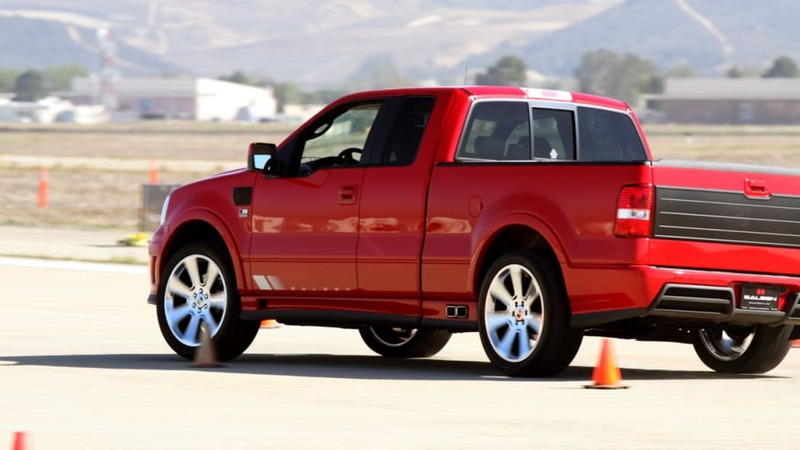 It has the familiar Saleen family good looks, with S7 and Mustang styling cues and bodywork upgrades including the new hood with functional hood scoop, fender flares, Saleen design rocker panels with chip-resistant lower rocker strips and integrated side pipes, rear lip spoiler and diffuser, and that blackout liftgate panel finishing the theme. 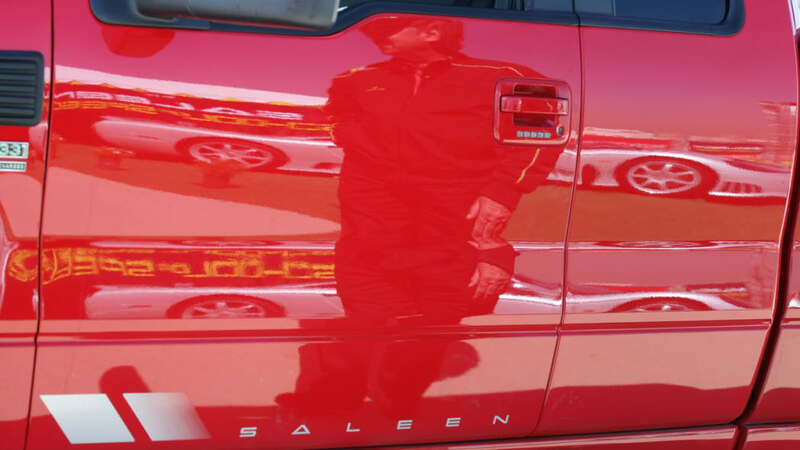 Similar touches inside too, with the gauges, seats, pedals, and mats all getting Saleen improvements. Pretty nice package, and reasonably priced starting at $43,000. 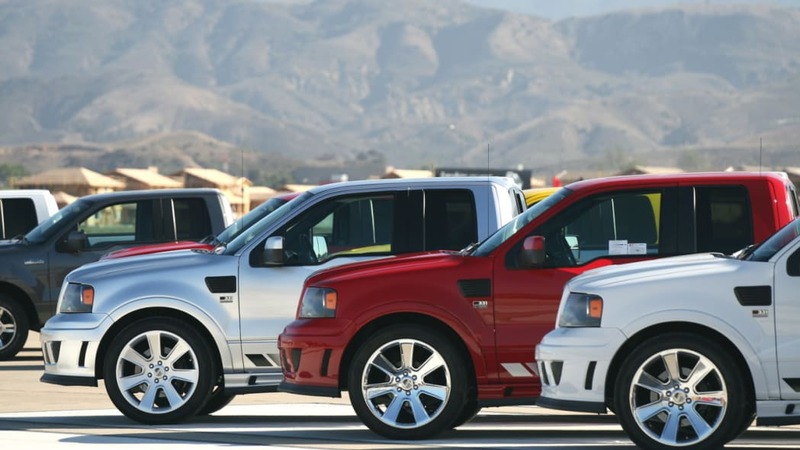 Not everyone will agree with that last bit, especially considering that the SC model actually starts at $53,000, but consider everything you are getting for that money. 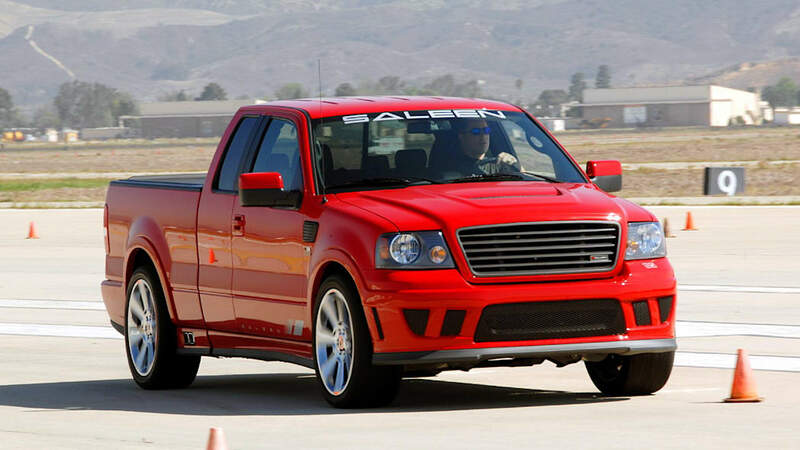 A track-worthy truck that loses none of its functionality. 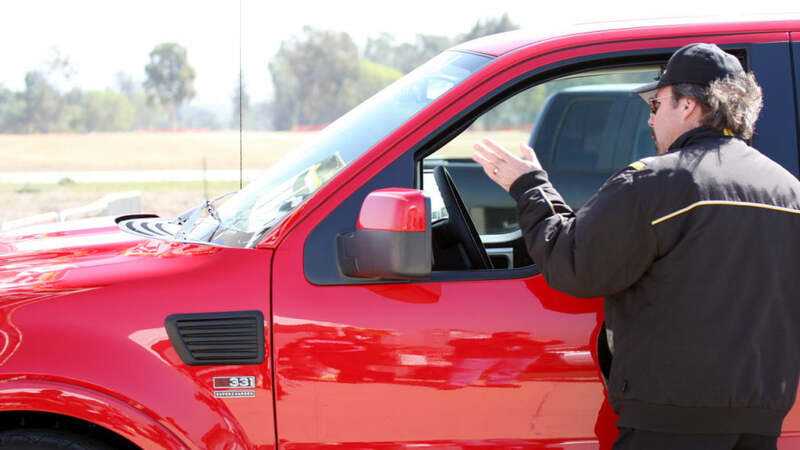 A serialized production vehicle that has been fully tested and certified. A unique and stylish truck that looks equally at home in Newport Beach as it does at a biker bar. 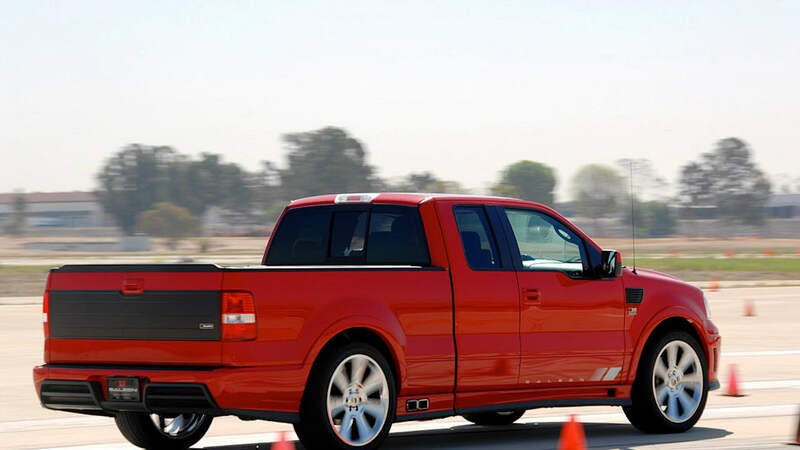 Basically a truck that still acts like a truck when you need it to, but reacts like a sports car when you want it to. 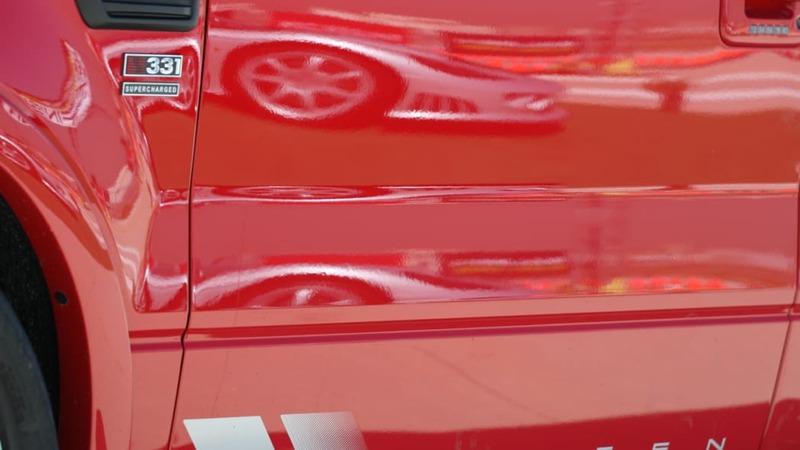 There were certainly a few nits to pick with the truck, but we will reserve judgment on those minor issues until we can spend more time with one in our more ordinary daily routine. One thing we definitely want to see is a knee bolster on that center console. Hot lapping comes at a price.